Water damage cleanup is not a one-size-fits-all process. There are usually unforeseen problems and roadblocks that come up along the way. Fortunately, a certified cleaning and restoration company such as our team at Valleywide Restoration in the Chandler area is experienced in dealing with and being prepared for all of these issues. If your home is flooded or experiences water damage in some other way, don’t hesitate to give us a call so we can begin to work on restoring your home back to its original, pre-flood state. This is a common and dangerous complication with water damage. The actual flood water that causes the damage is often contaminated with harmful bacteria and microorganisms. Usually, this is because the water has some amount of sewage within it, but there are several other potential reasons as well. Ingestion or contact with these contaminants can cause skin irritation and serious diseases like cholera, typhoid fever, and diphtheria. If your home is flooded, you should never enter into the floodwater without protective gear and clothing until you are assured it is clean. Mold growth can quickly develop into a serious issue after a flood. In fact, it can begin growing within 24-48 hours after a flood. This can be incredibly frustrating for you since the mold growth often becomes serious AFTER the water damage has seemingly been taken care of. Mold thrives when small pockets of water are hidden within the walls of your home or puddles pool somewhere out of your notice. Just as water damage cleanup is a time-sensitive process, so is mold cleanup and prevention. Mold left unchecked can spread to other parts of your home and actually grow inside your walls and ceilings. A restoration company will be able to identify and neutralize all the potential sources of mold growth for you, preventing this from happening to you. A flooded home is a breeding ground for termites and other unwanted pests. Because many of these pests reproduce quickly, it is important to get on top of this issue as soon as possible. Otherwise, you could have a serious infestation before you know it. Water can be far more dangerous than it appears. One of the ways it can devastate a home is by gradually damaging the structural integrity of your home. It is important you have your home inspected by a pro if it is flooded so they can determine if there is any structural damage that could pose a danger to you in the future. All in all, water damage cleanup is not something to be taken lightly. It is usually more complicated than it looks upon first glance. 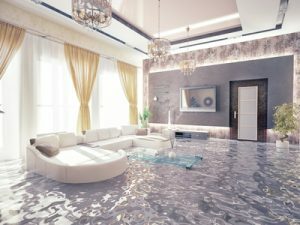 For these reasons, you should always look to a certified cleaning and restoration company for help after a flood. 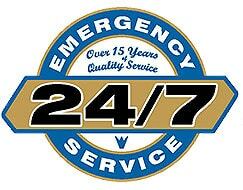 Our team at Valleywide Restoration in Chandler is here to help! Don’t hesitate to call after a flood so our team can begin working on your home and restore it back to new for you.